나트랑, 베트남의 민 호스텔 | 호스텔월드에서 예약하세요. 1).We accept credit card and cash payment upon arrival. 2).2 days advance notice for free cancellation. 3).Our check in time is after 2 pm and check out time is before 12 am. 4).Reception is open 24h a day and our staff will be happy to assist you in any way possible. 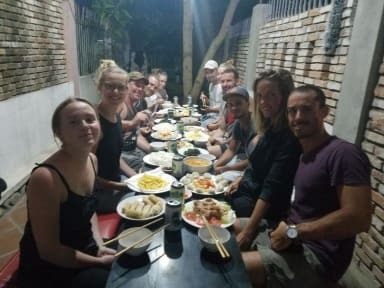 You are a group of backpackers looking for a private place to explore Nha Trang city? You are tired of staying in the budged place with just walls and beds? You dont wanna be surrounded by traffic and noise but still want to be near the Town. Min is the place for you! 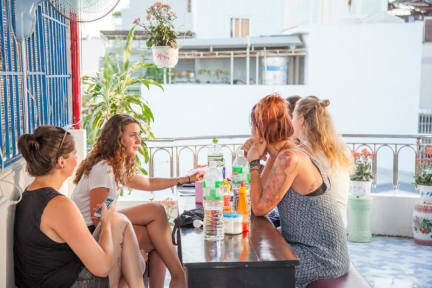 Nestled on Con de island in Nha Trang, 15 minutes walk to the beach and 5minutes on car to the town, Min is a place that you can immerse yourself in the nature, real culture of Vietnamese. Besides, you can party with your friend without other's observation. You can do fishing in the pond, cooking and making the barbecue next to the river. Room is featured with private Looking balconies over looking the surrounding hill or river. Free Internet and picking up and drop off by cano. Maximum : 30 people so you can share the fee. Especially, we do a big gift for you if you come on your birthday. We can book qualified tours, bus tickets with cheap price for you.